In just two years time, the World will have lost two-thirds of all wild animals according to The Living Planet Index. As we begin to understand that pesticides and fungicides are contaminating pollen and killing bees and other insects in numbers which can't be calculated, so too are fertilizers from agriculture and gardens causing algal blooms which are killing fish and marine life also in numbers which can't be calculated yearly in the West. 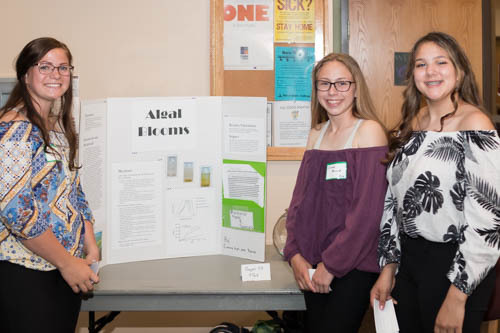 Emma Howard, with help from Bernie Carhart, and Kati Bain , see below, have written and researched a biology project on algal blooms and kindly shared the results with The Big Wobble. Nitrogen is supplied in fertilizers because it is necessary for plant growth, but is often in short supply in soils. Nitrogen makes up the majority of our atmosphere, but plants are not able to use the form of nitrogen found in the atmosphere, called diatomic nitrogen (N2.) Plants require a form of nitrogen that they can readily absorb and use to promote growth and reproduction. Nitrogen in the form of nitrates works very well as a plant fertilizer and is produced in large quantities for this purpose. Phosphorus is also often present in fertilizers in the form of phosphate. Phosphate-containing chemicals deliver the essential element phosphorus to plants in a readily absorbable form. Collect 2 L of pond water from a local pond using the 4-L plastic container. Have an adult come along to help. After conducting our experiment we found that algal blooms thrive better in warmer conditions due to the fact that they require sunlight, warmth, and nutrients to grow and reproduce. 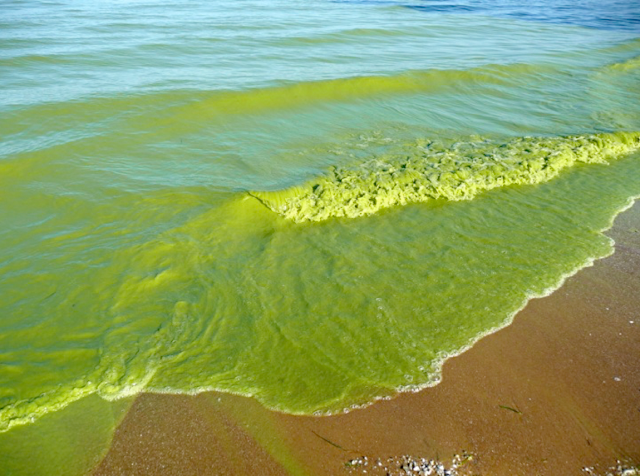 The impact of our experiment on the community is that we found that algae blooms are very dangerous and hopefully that convinces other highschool students to try and find their own way to fix this big problem. Our solution was that we could convince lake property owners to use less fertilizer in their yards, by talking to our local news station and putting up flyers.. This would cause less phosphate runoff, keeping the lakes, streams, rivers, ect. cleaner, and healthier for aquatic life.